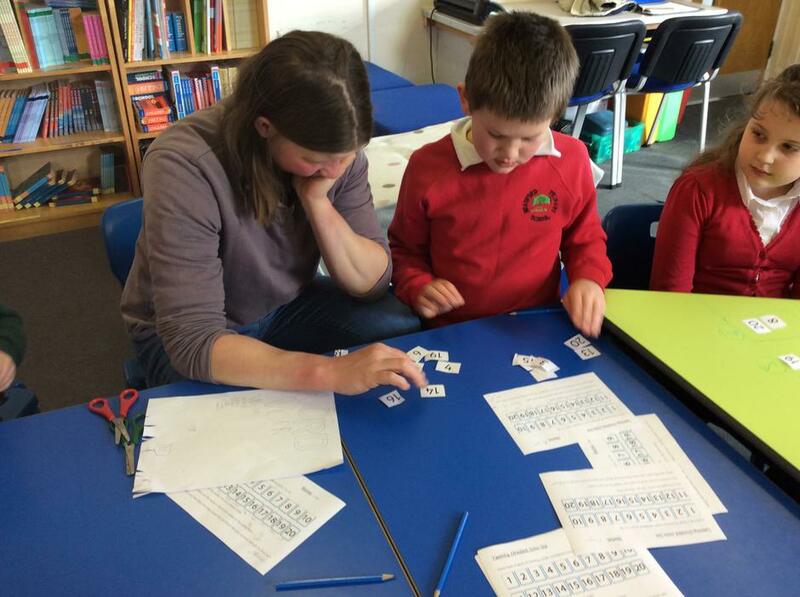 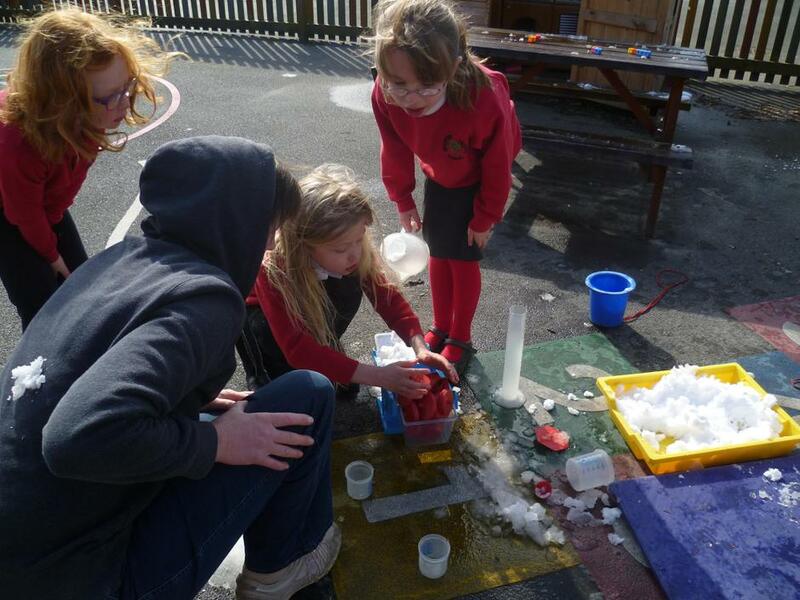 On Tuesday 20th March parents were invited into school to join in with a maths session in both classes. 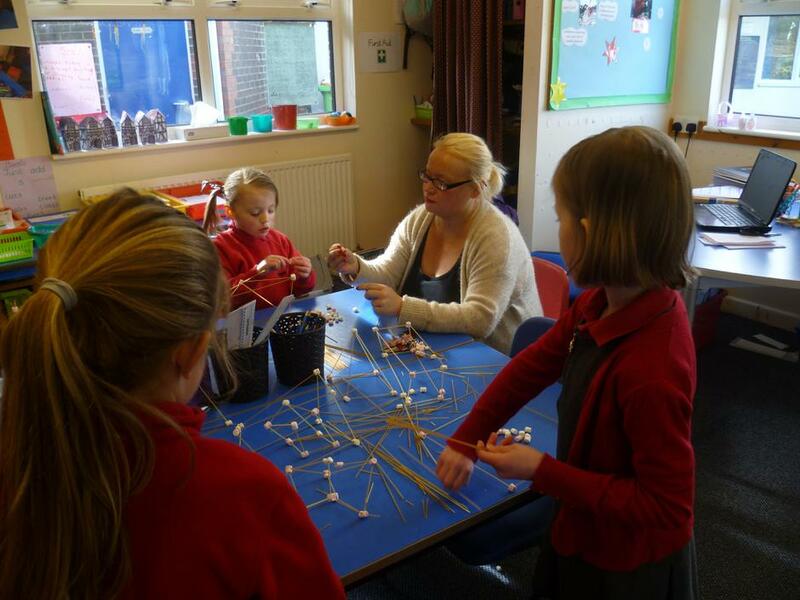 Maths challenges in Class 1 included making a 3D shape out of marshmallows and spaghetti, weighing lentils and rice, calculating how many cheerios’ you could get on a stick of spaghetti and finding clocks to tell the time. 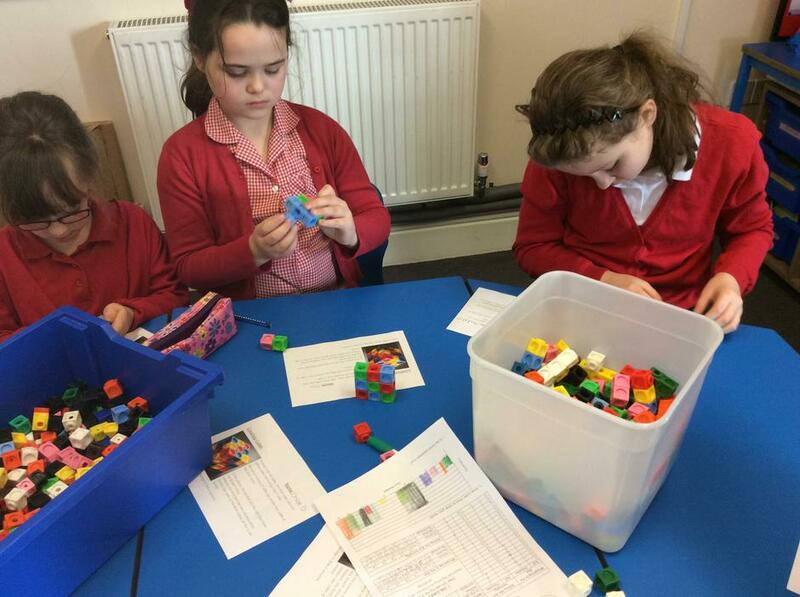 In Class 2 parents took part in a chance experiment to see if whispering to a dice to roll a 6 would work, making a cube of different colours with the same colours not touching, splitting cards into equal piles and also a multiplication challenge.